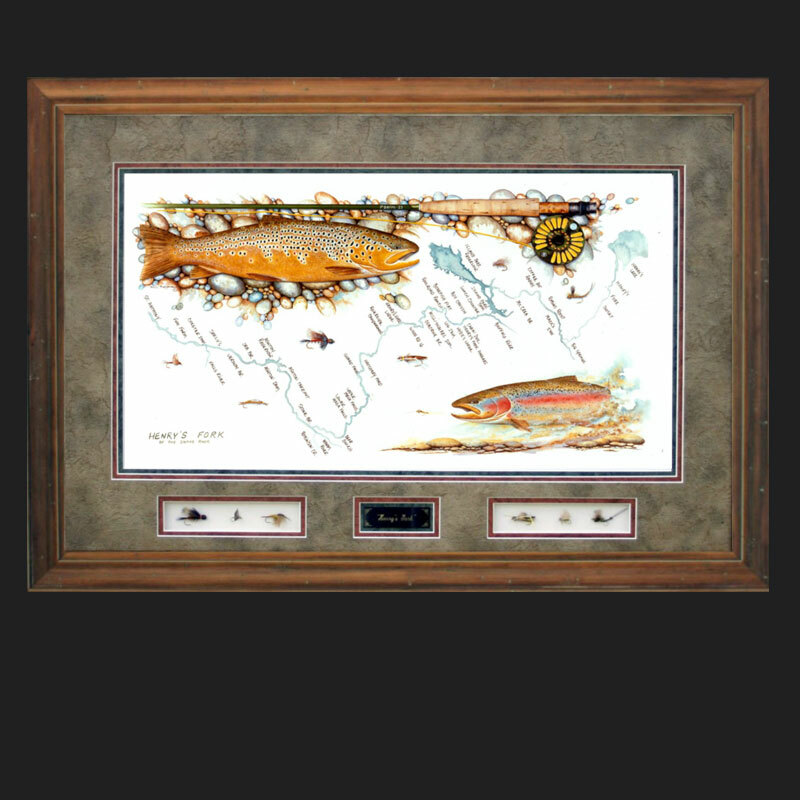 Gallatin River starts in the Yellowstone Park and flows through Big Sky on it way towards Bozeman, MT. 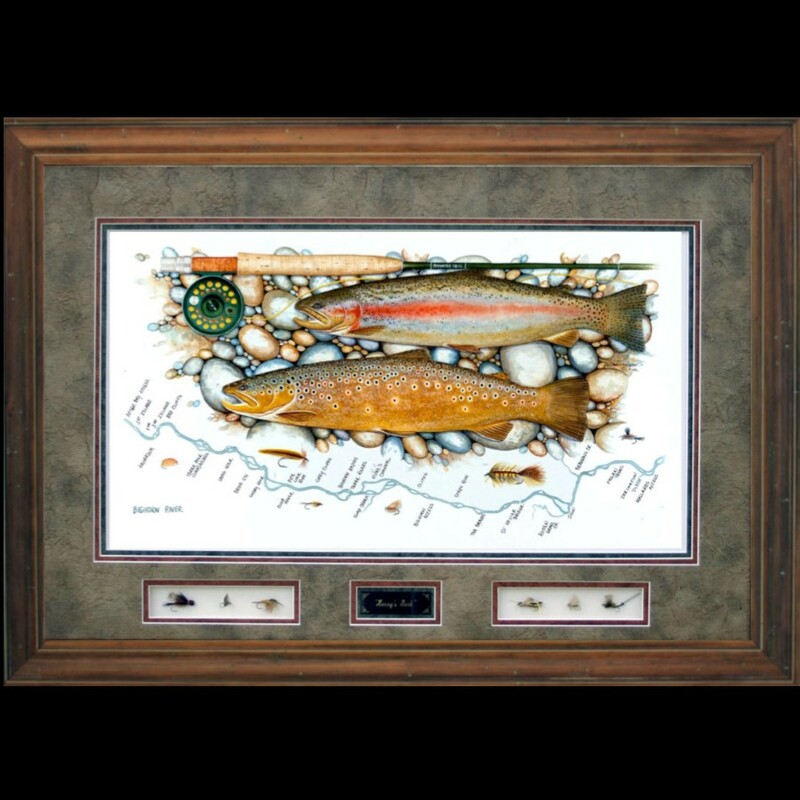 This river has many nice pools and riffles holding many trout with fast white water over large boulders. 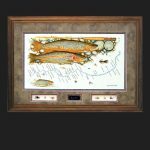 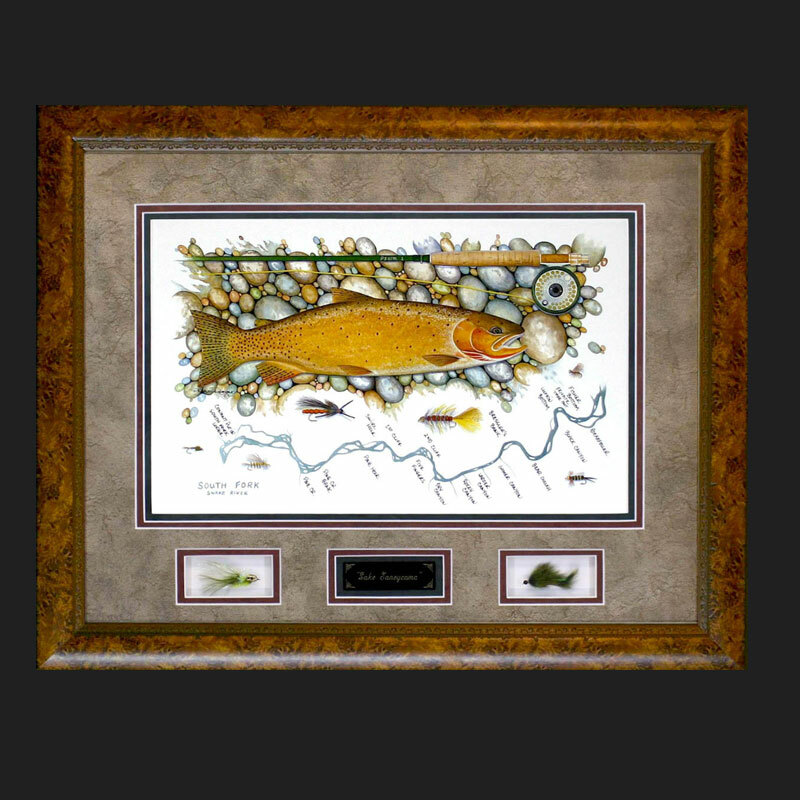 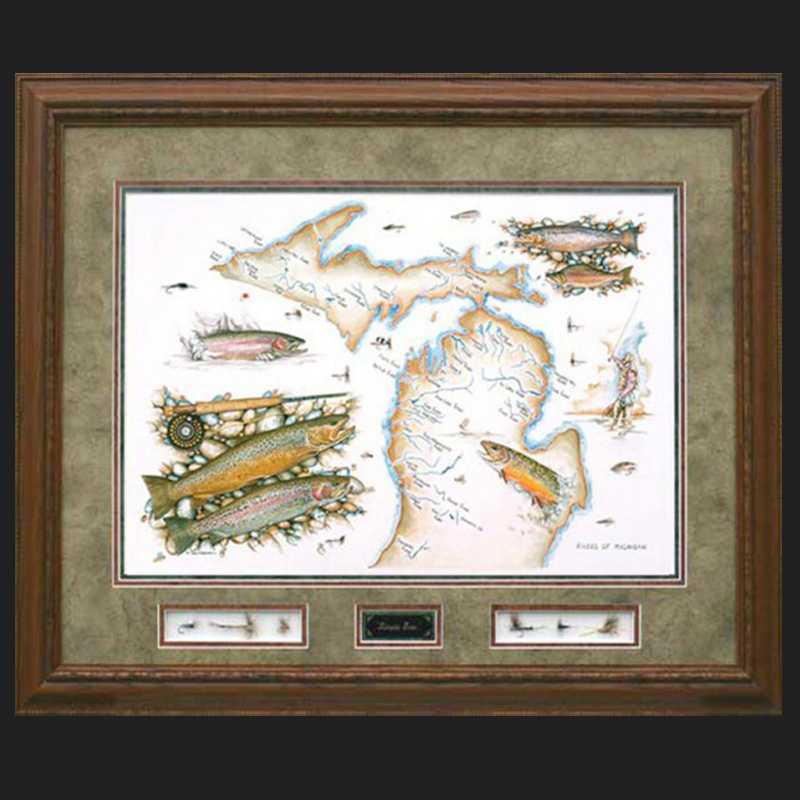 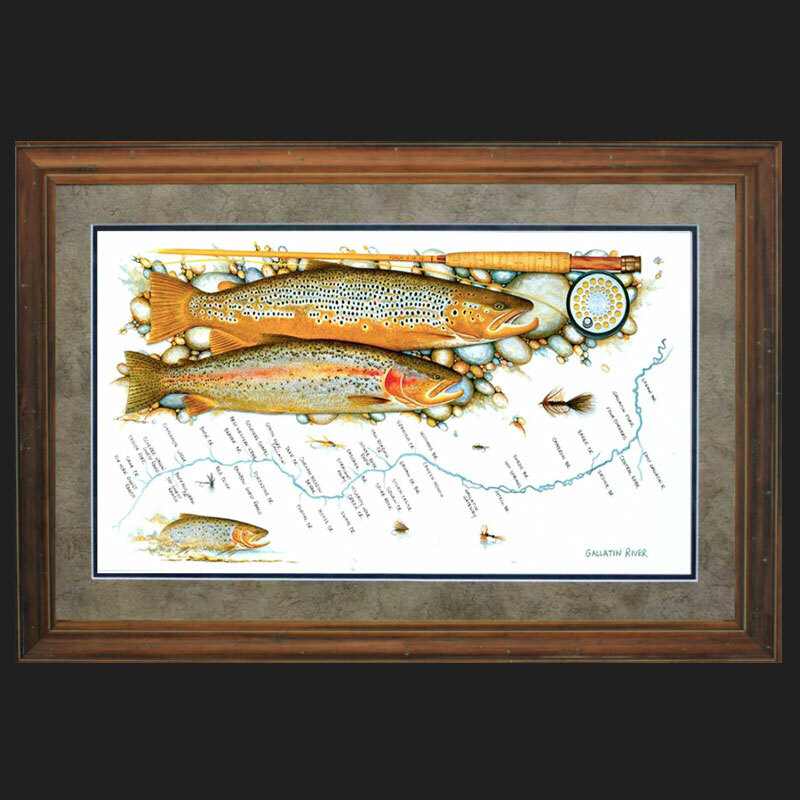 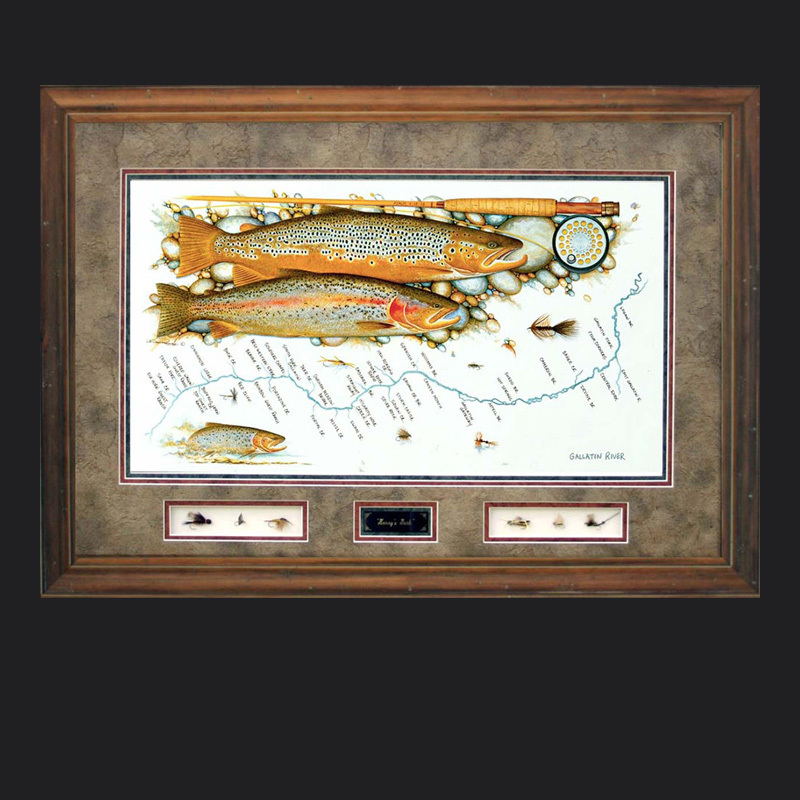 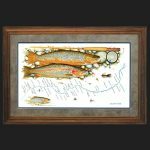 The map features a Brown & Rainbow trout laying along side a fly rod with a small painting of the cutthroat in the lower corner.